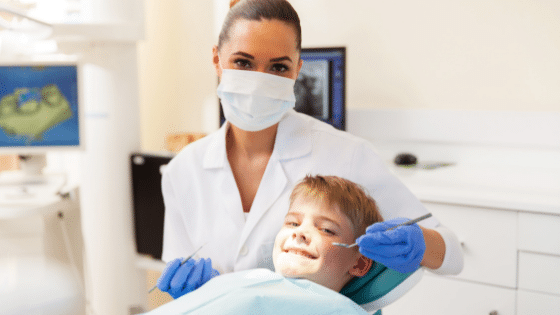 Why Become a Dental Office Hygienist? Becoming a dental hygienist has its benefits. With a great work-life balance, plenty of career growth opportunity, a fast track to working, flexible work hours, and a competitive salary, the field of dental hygiene is becoming more and more sought after, for good reason. Most dental hygienists work in dental offices, which is known to be a fun and friendly environment. Dental hygienists work with people when they come into dental offices as much as, and sometimes more than the actual dentist. Hygienists help patients develop and maintain their best oral health. When a patient comes into the office, a dental hygienist cleans their teeth, examines their gums for signs of gum disease, and provide patients with preventative care, such as fluoride treatments. They can also assist dentists on other dental work and procedures. In a study done in 2017 by the Bureau of Labor Statistics, dental hygienists were recorded to have earned an average salary of $76,070. For only requiring two years of schooling, a career in dental hygiene provides very competitive compensation. Because this field also offers room for growth and opportunities for advancements, there is also an opportunity to grow your salary. Working as a dental hygienist means a flexible schedule. It’s easy to maintain a healthy work-life balance. Some hygienists only work weekends or two to three days of the week. While others work full time. Some even work at multiple offices, splitting their time a few days a week at each office. There is plenty of variety and flexibility available in the field. Dental care is a field that will always be needed. There are options to work in most cities; dental offices are everywhere! The fast-growing field of dental hygiene provides job security no matter where you live. With a field with such high demand, you won’t need to be concerned about job security. According to the Bureau of Labor Statistics, jobs in the field of dental hygienists are projected to grow 20% in the next ten years; much higher than the average career. Hygienists are required to be certified. Programs are designed to be different lengths, but almost all of them can be completed in two years. Some programs are shorter and more intensive, while others offer part-time schooling over a longer period. But the good news is that you can also work while you’re in school and training. In comparison to other career paths, the dental hygienist can begin working fairly quickly. Be the path to your dream career right away and begin working full time soon. While working as a dental assistant is a great career, there are also many other opportunities in the field. There are opportunities for teaching, training, or further education in the dental field. If you find after a few years that you would like to grow or progress towards something different, there are plenty of other opportunities to be sought after in the field of dental work.